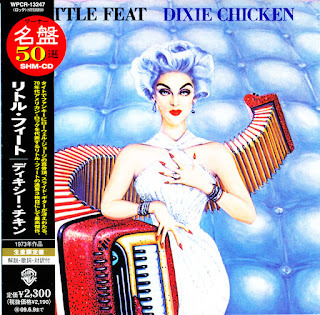 Dixie Chicken (1973) is when Little Feat came up with their signature sound. Many fans cite this as the group’s best LP. I’ve always thought their debut was one of the best albums from the time (Sailin’ Shoes is also superb), so I’m not really sure which side of the fence I stand on. 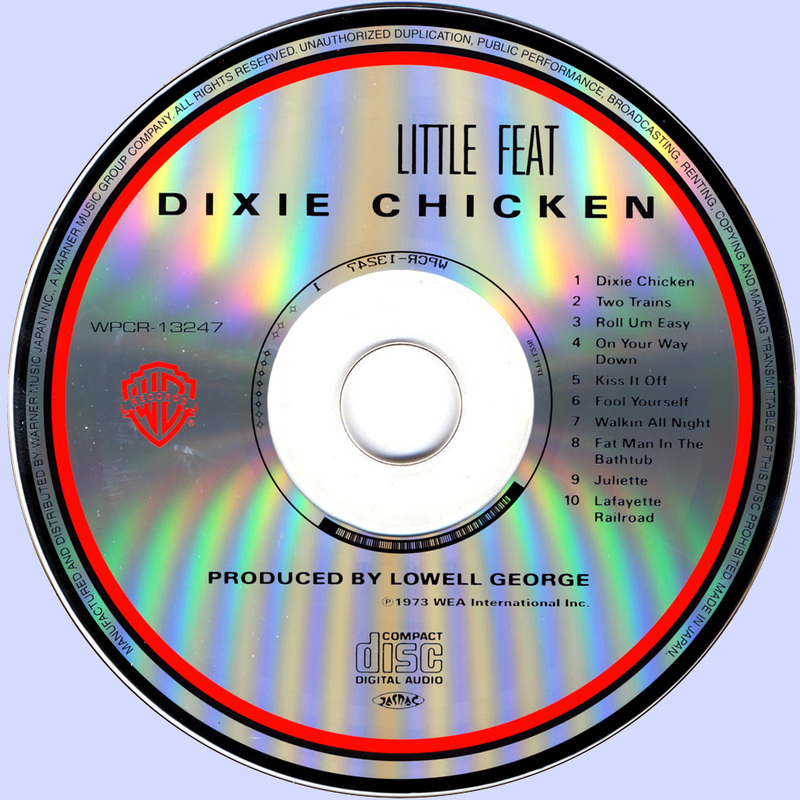 Dixie Chicken is a more produced (rich, full sound), laid back affair when compared to the raw eccentricity of those first two albums. 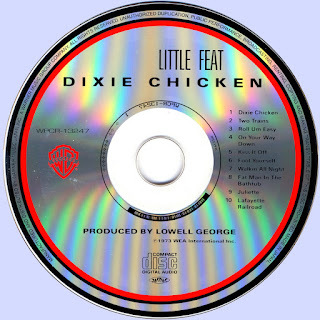 Most of the tracks are Lowell George originals but to give you an idea of the influences at work here, the group covers Allen Toussaint’s “On Your Way Down.” This means there’s a strong New Orleans aroma throughout Dixie Chicken. Classics like the title track and “Two Trains Running” while great songs, feature soulful backup vocalists, which make them sound a bit more produced than the group’s earlier efforts. That being said, this is certainly one hell of an album – one of the defining roots rock discs. Impassioned vocals, great lyrics, piano, slide guitar and a rock steady beat make this track one of classic rock’s great legends – there’s nothing like it. My picks are the acoustic (and slide guitar) piece “Roll Um Easy” and the jumpin’ “Fool Yourself.” Both songs have the feel and style of Little Feat’s earlier triumphs. 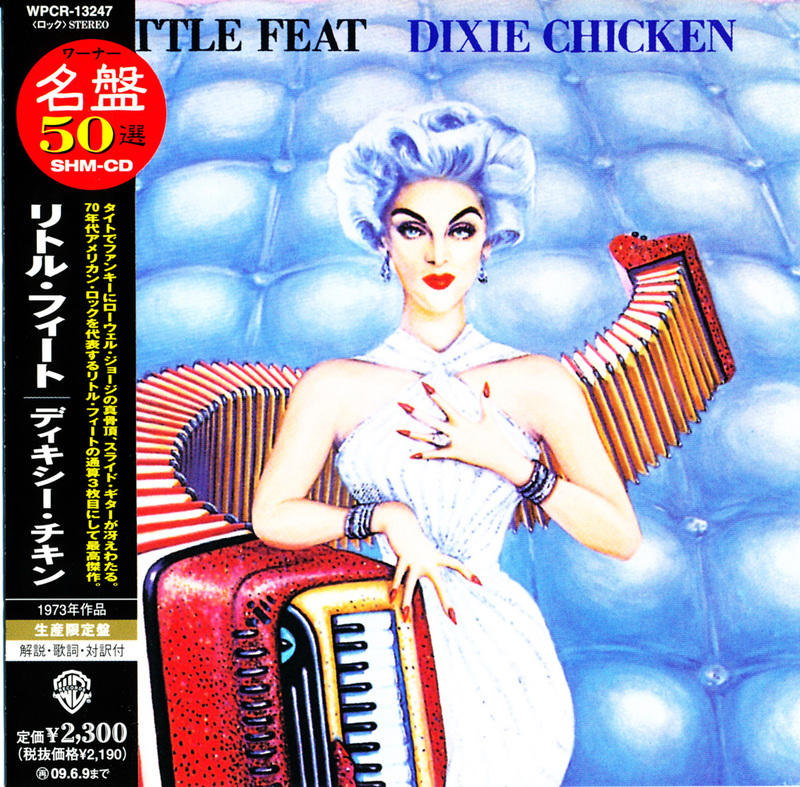 All told, Little Feat came up with their third masterpiece in as many years. Essential.